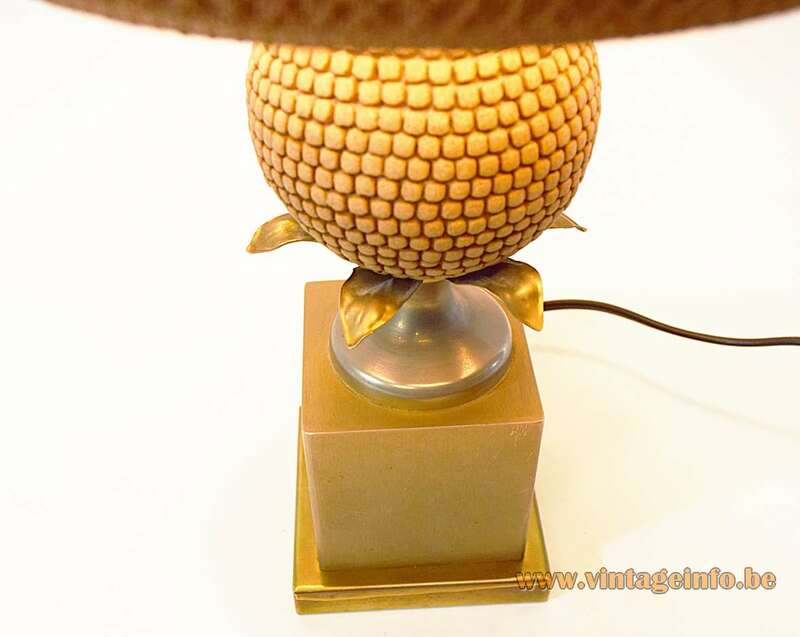 Materials: Square brass brushed base. Aluminium and brass parts. Some type of resin for the round maize/corn. 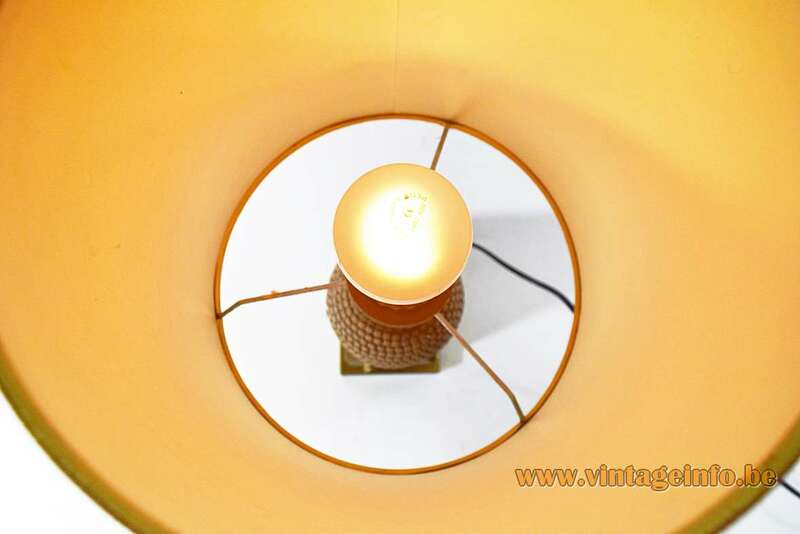 Gold painted Bakelite socket. 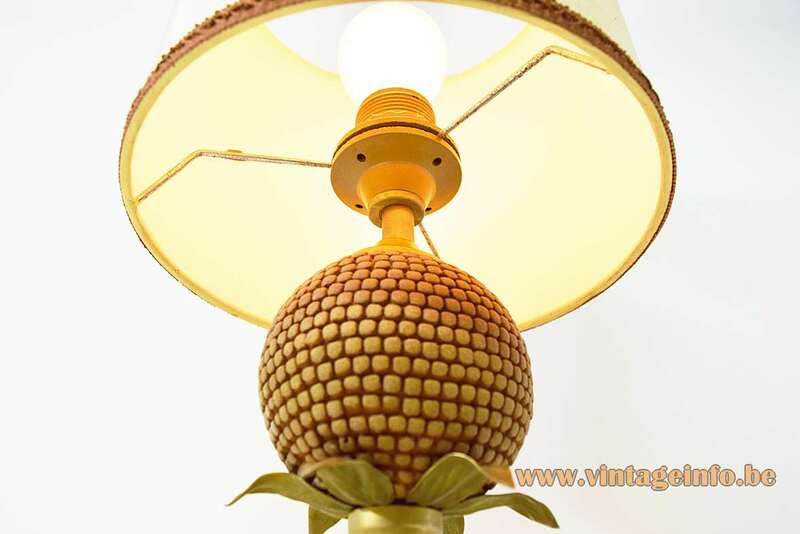 Designer: To be appraised, inspired by a lamp in the form of a corncob made by Maison Charles, Paris. 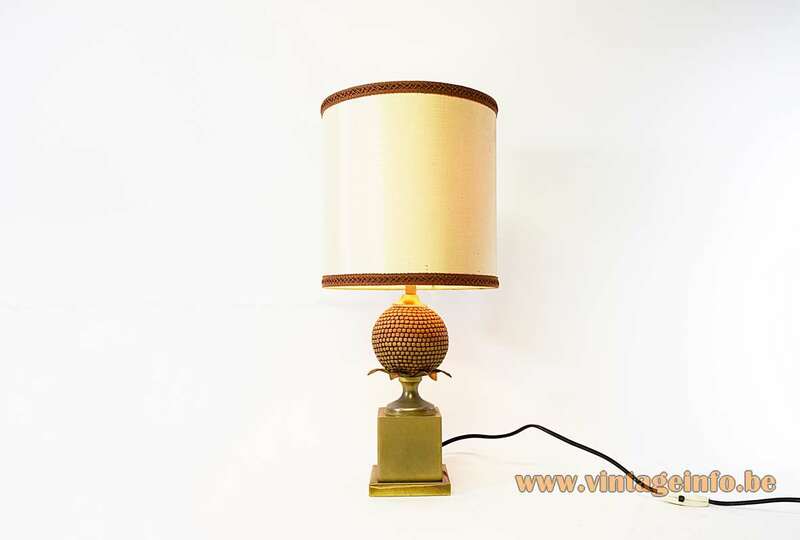 This table lamp is often sold as a Maison Charles lamp, but it is not. 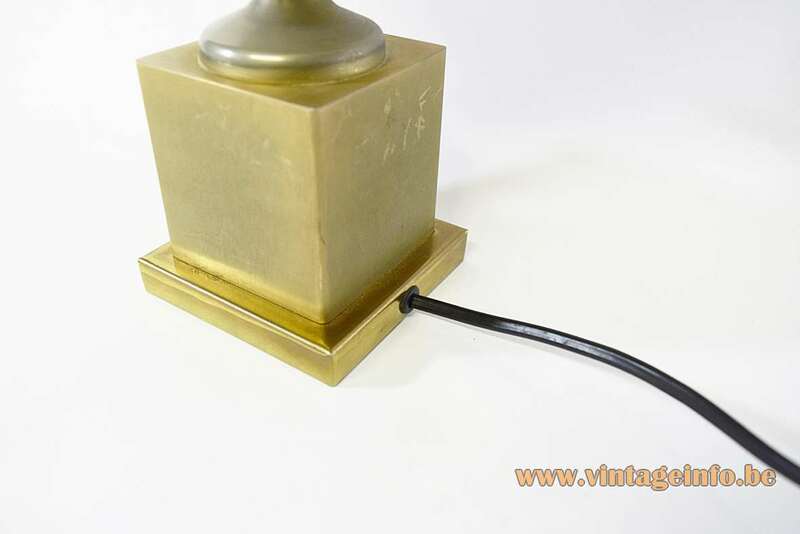 The Maison Charles table lamps always have a stamp in the metal on the back of the base with the company’s name on and they are all handmade and produced in a superb quality. Other versions: Exists also in a long, corn form version. 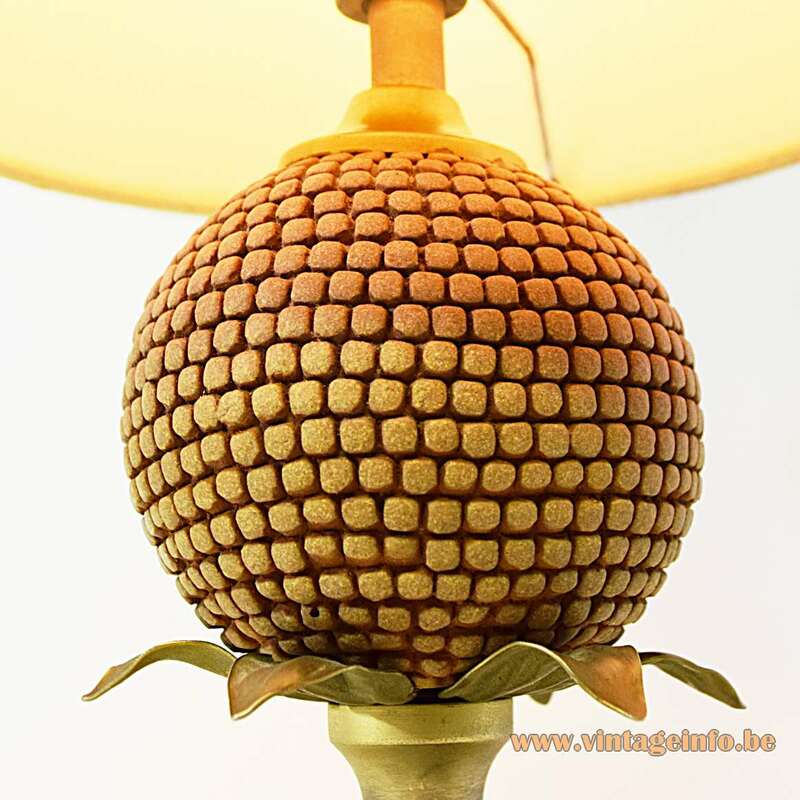 This lamp has the name “Aquitaine“. Aquitaine is a region in the south of France, along the Atlantic Ocean and the Pyrenees mountain range on the border with Spain. 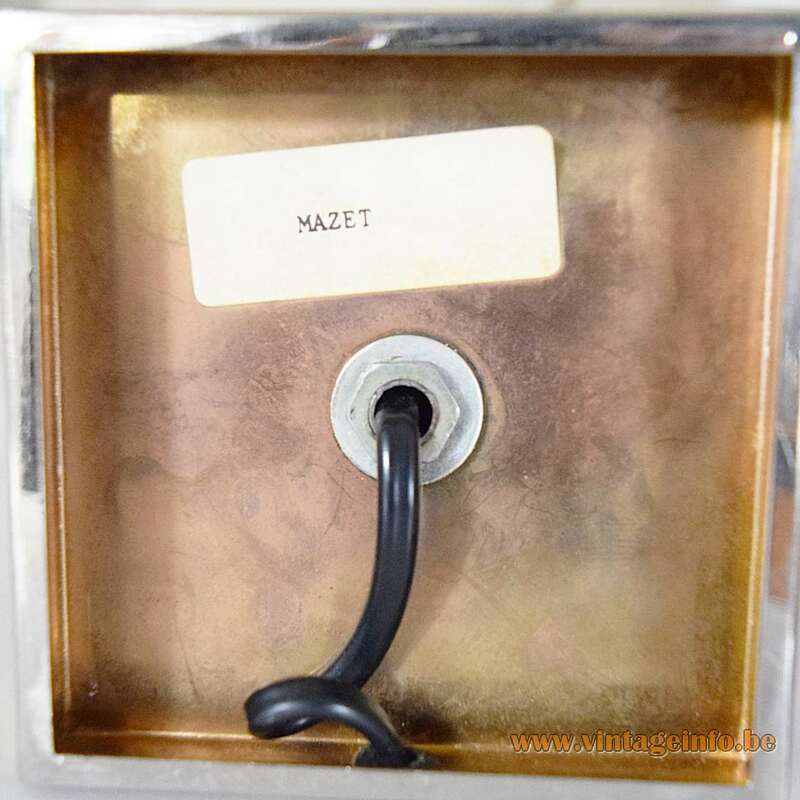 On the bottom of this round corn lamp is a sticker glued with the text typed (with a typewriter): “Mazet“. A Mazet or maset is a little house in France that is used to store materials but it can also be used as a house for a short stay or summer holiday. Primitive constructed and most of the time used by farmers. Or is it just a variation on maize/corn? Le Dauphin: Located in the heart of the region Rhône Alpes since 1966, Le Dauphin is a brand famous for its high-end luminaires and its timeless style. 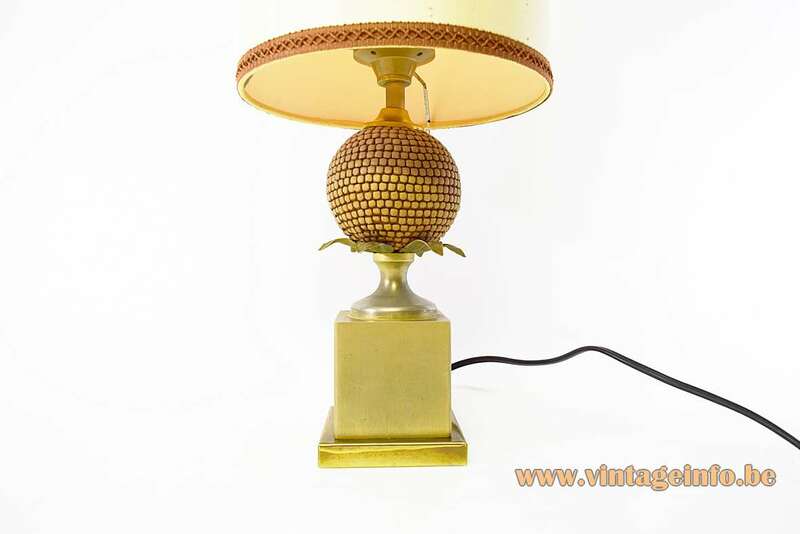 The artisan factory is located in Saint-Marcellin, some 50 kilometers from Grenoble.